We hope the information below will help you in planning your visit to Westport House & Pirate Adventure Park as well as the area. Of course, please don’t hesitate to give us a call on +353 98 27766 or email us on info@westporthouse.ie if you have more questions. We are a primarily outdoor attraction that is very much at the mercy of the elements on the beautiful West Coast of Ireland. This sometimes means that we get all four seasons in one day! Please visit www.yr.no/place/Ireland/Connacht/Westport_House/ for a forecast of upcoming conditions on the estate so that you can plan on sunscreen and sun hats or raingear and wellies (or all of the above!). Join us for a while in the old restored kitchen cafe for a range of sweet and savory meal options. Pirates Den serving tea, coffee, soft drinks & snacks. The Galley in the Pirates Haven serving chips, kids meals, burgers and more. The Old Kitchen Cafe in Westport House serving teas, coffees (the best onsite, we’re told!) as well as delicious home-made cakes, soups, sandwiches, paninis, pizzas and scones. Baby bowls may be purchased in the Old Kitchen Cafe and we will re-heat baby food for you if we have the facilities. Brought your own food? Great! We have a beautiful picnic area in the Coach House Courtyard as well as the Farmyard– please note that these areas are largely uncovered so it provides picnicking in the true sense of the word: outdoors. We have a range of attractions on site and a range of tickets to hopefully suit everyone. Please download our site map which shows all of the attractions in blue (Westport House), red (Pirate Adventure Park) and orange (Adventure Activities, Birds of Prey and Carnival Attractions). 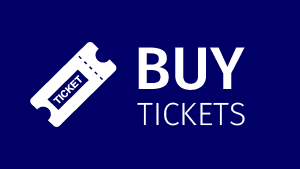 You can buy individual tickets for Westport House & Grounds as well as individual and family tickets to Westport House & Pirate Adventure Park (this is a combo ticket). These tickets provide for unlimited use of all of the blue and red attractions. The attractions in orange are priced separately and are outside the core area of the attraction – pay as you go, if you like. Please visit our Special Offers Page to get the best deals! Which Attractions Can Kids Enjoy? We love that families bring children of all ages to Westport House – both big and small! We don’t operate on an age basis but instead on the height of the visitor. Please see “How you measure up?” to plan what rides you can go on. For a simple way of thinking of it, we usually recommend the Pirate Adventure Park for kids under 12 and our Adventure Activities are suited to kids 8 years and up. The Carnival Rides are suitable for all ages. 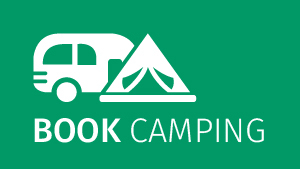 Baby changing facilities are provided in the Super Loo (in the ticket office area by Gracy’s Bar), The Pirates Haven as well as in Westport House and in all the bathrooms on the campsite. While we don’t have a private room for nursing mums, there are couches in the ladies’ bathrooms in Westport House for your use. 1. Due to the need to protect the antique parquet floors in the house, Westport House is not buggy- accessible. You may park your buggy inside the house while you visit and borrow one of our baby carriers for the little ones. Or even better – plan to bring your own. 2. The Pirates Den – our indoor soft play area – is situated on the first floor in the farmyard area. You are welcome to park your buggy downstairs while the kids play. Guest with additional needs or disabilities are very welcome to Westport House. We have drafted a Disability Guide to Westport House in partnership with ClanBeo to help with preparations for a visit. We hope it is helpful. We realise we may not have covered everything so, if you have specific questions regarding any special needs, please get in touch with us at info@westporthouse.ie or on +353 98 27766. The various adventure activities onsite will deliver a world of fun! Please be aware that certain activities may have specific height and weight restrictions. All details are on the activity page, which can be found here. 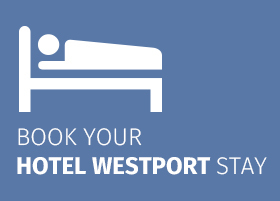 If you haven’t been to Westport before, you’re in for a treat! It is a beautiful planned town, with pretty streets, the Carrowbeg river running through it, blue flag beaches on our doorstep as well as Ireland’s holy mountain, Croagh Patrick. With a whole range of excellent facilities for visitors including bars, restaurants, hotels and other accommodation providers, some excellent sites to visit are www.DestinationWestport.com, www.northmayo.ie and www.discoverireland.ie/westport.